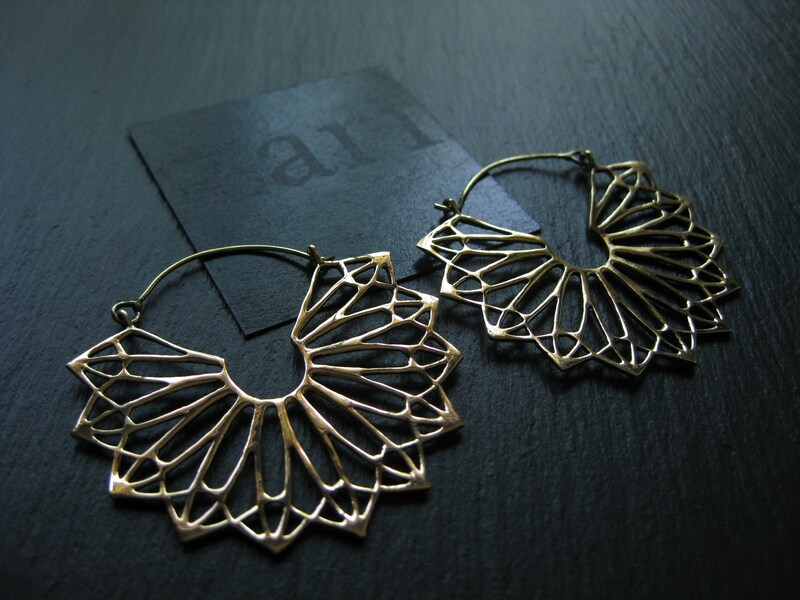 Super light jumbo statement hoop earrings in brass with a dainty and elegant design inspired by mandalas found in snowflakes. 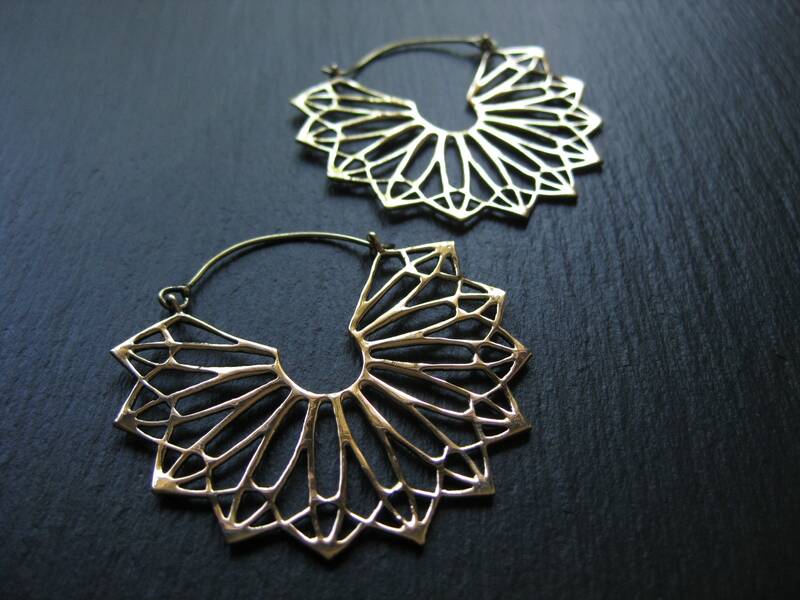 These urban chic hoops will add a touch of bling! to all outfits, casual or chic! 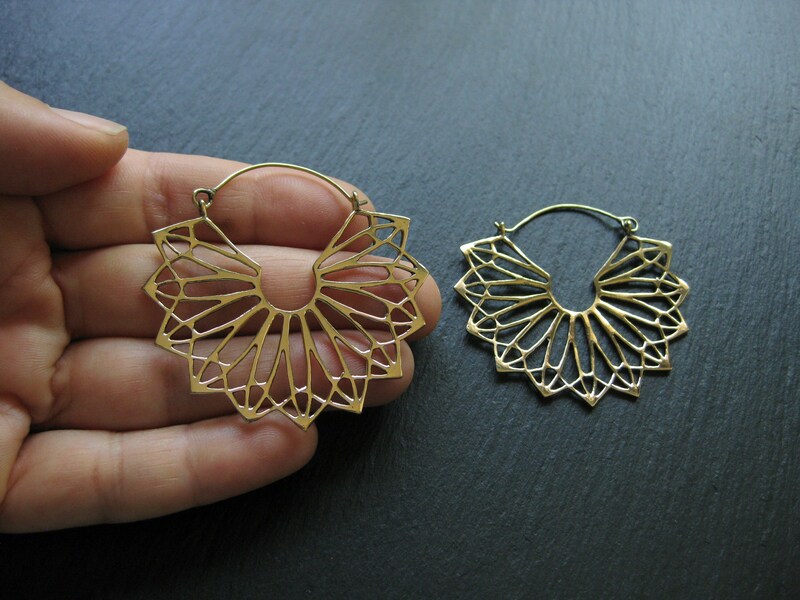 These earrings are made of brass. Brass is an alloy of copper and zinc that is naturally NICKEL FREE. As it is NOT plated, it ages very well and it is also super easy to clean. I may store and process your information through third-party hosting services in Canada, in the US and other jurisdictions. As a result, I may transfer your personal information to a jurisdiction with different data protection and government surveillance laws than your jurisdiction. If I am deemed to transfer information about you outside of the EU, I rely on Privacy Shield as the legal basis for the transfer, as Google Cloud is Privacy Shield certified. 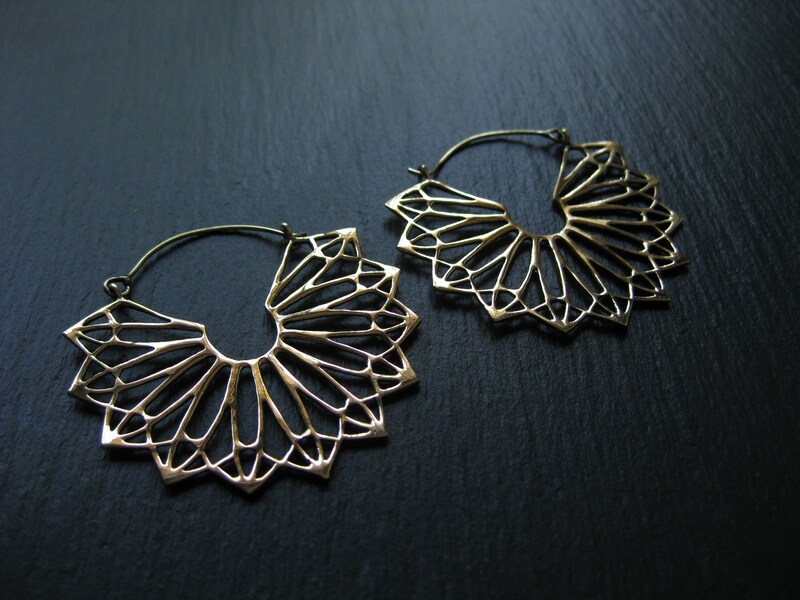 Our jewelry is made of brass, silver plated brass and sterling silver. Brass is an alloy of zinc and copper that is naturally NICKEL FREE. Cleaning brass is very easy! No need for a special cloth or fancy mixture: a drop of tomato ketchup or toothpaste works magic! With your fingertips, simply rub a little squirt on the piece, then rinse and pat dry. These staples will make any piece shine bright and look new in seconds! 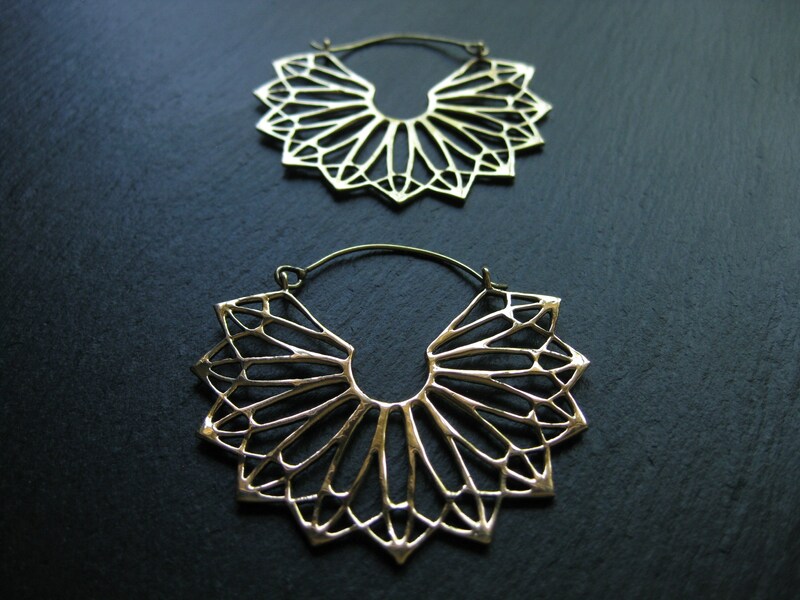 The same ritual can be performed on silver plated brass pieces. To keep your jewelry in good condition, avoid contact with hair products/body lotions/perfumes; remove it when showering/ bathing/swimming and store it individually in a dry compartment. Tracking numbers are not provided by Canada Post -Regular Airmail.